This week we saw a nice kind of news in the papers. 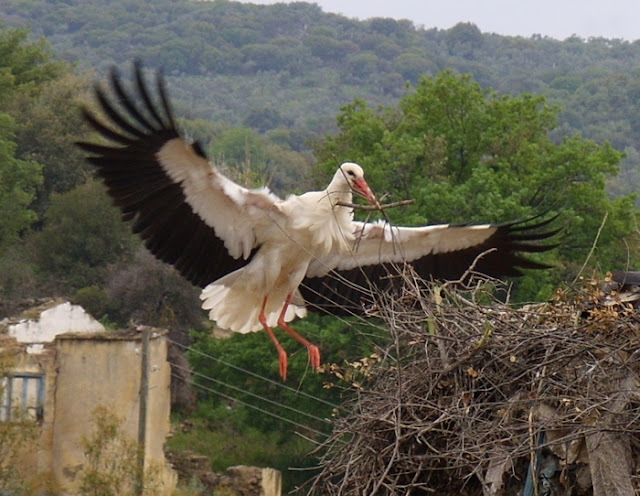 The african storks come in the summer in great numbers to the Aegean Turkish coast to nest and breed. 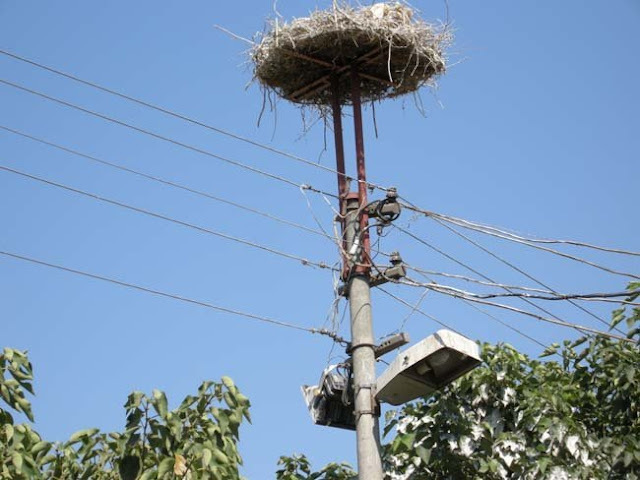 Most of them choose residence in the high voltage masts, resulting in hundreds of dead storks, mostly when the babies start to fly. To avoid this and also the power cuts that it causes, Aydem, the energy provider for the Aegean region has started to place platforms attached to the masts but about 2 meter higher. 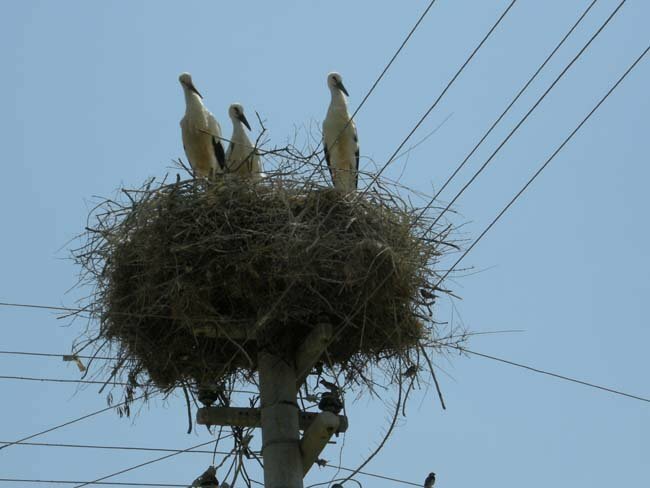 The hope is that it will save many storks. More than three hundred of these platforms are in the planning. Every year, a stork couple gets three to five babies. Isn't it nice?